Branding…many people chalk that up to a logo, tag line, or worse, the name of a company alone. However, it’s much more than that. It’s a feeling you get when you interact with a brand you love and its products or services. It’s about how it relates to you as a person. It’s about what it means when others see you proudly sporting the brand. So, let’s put all that on the back seat for a minute and think about some insane products some high-profile brands came out with, that at I’m sure you’ve never heard of. The List – What were they thinking? Cheetos® Lip Balm: Now, I’m a lip balm wearer and have been for quite some time. But, even this one is hard for me to take. Seriously? Colgate® Spaghetti: When I mentioned this in a marketing class I teach, the students each made a face. Did you when you read the product name? Yeah. Me too. Zippo® Perfume: For those of you who may not know what the Zippo company is known for, it’s lighters. It also makes women’s perfume. I don’t know about you, but I might second-guess using a perfume made by a company that specializes in making flammable liquids. Dr. Pepper® BBQ Sauce: I like Dr. Pepper as much as the next person. However, when it comes to BBQ sauce, I like mine to come from brands that are known for their BBQ flavors. It might not be the case, but a soda-flavored BBQ sauce is an instant turn-off to me. Virgin (Atlantic) Wedding Dresses: Richard Branson, for me, is one of the borderline brilliant/crazy kind of people who comes up with amazing marketing initiatives. Some of them work, while others fail. This one did not take off after a short run in the UK. I guess people didn’t see the humor in it. Holiday-Flavored Pringles®. With flavors like pumpkin pie spice, white chocolate peppermint, and cinnamon sugar, you might be less tempted to eat more than one. Vegetable Jell-O®: Watch it wiggle … oh, yuck veggies in a sugar-flavored treat. Not only were veggies added to the concoction, seafood was also incorporated. I cannot even go there on this one. So, why did I tell you about these forays into crazy town? Because branding is more than just a pretty name. It’s about what customers can relate to. It’s about the feeling they get when they say the brand name; the image that pops into their head; and the sensation they have when using it. Sure most of these are food-related products on purpose. If you read Colgate spaghetti and immediately thought “minty,” then maybe they were doing something right. However, I doubt that was the case. 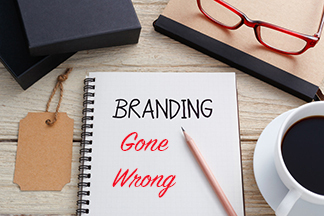 What other branding blunders have you come across on your journey through life? 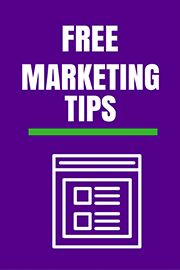 Want more branding tips? Here are some resources. SEO vs. SEM – What’s better for my brand?